The Eclipse Corbel is a decorative and functional iron bracket made from solid steel. 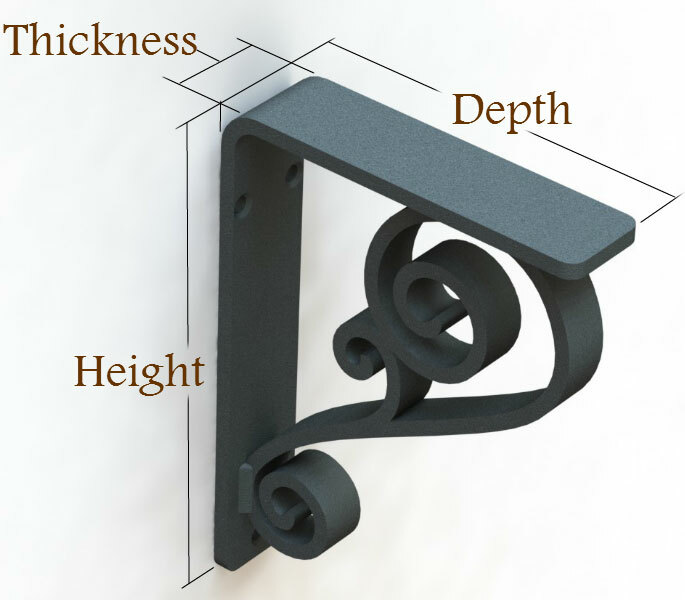 This iron corbel measures 1.5" wide and comes in 6 bracket sizes ranging from 5 x 7 x 1.5 to 10 x 12 1.5. 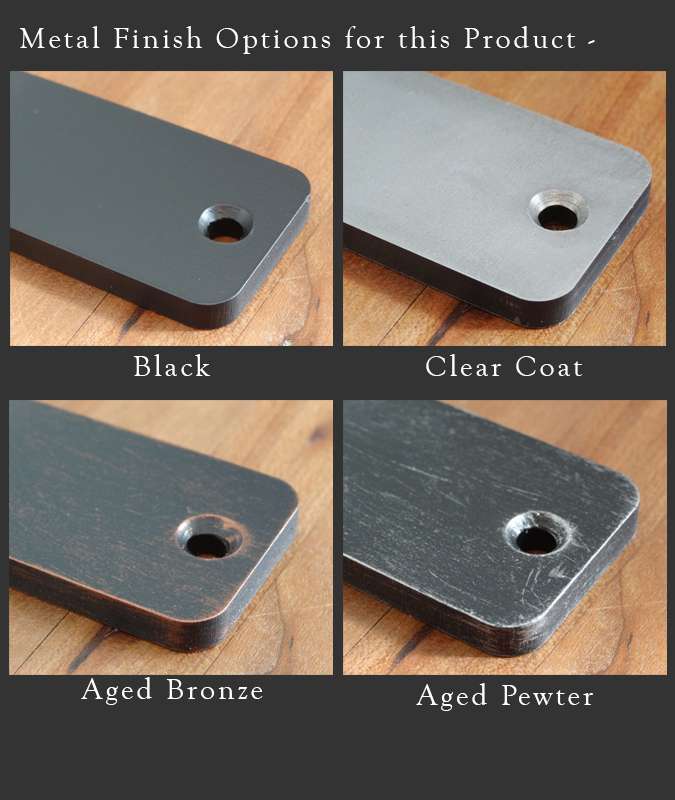 Four finish options including Black, Aged Bronze, Aged Pewter and Clear Coat (over raw metal) are available. Our Eclipse Corbels can be used for granite and stone counter top supports, shelving brackets, fireplace mantel supports and much more. Average customer Reviews: 5 of 5 Total Reviews: 6 Write a review. I was very impressed with the quality, finish and weight. Really fast shipping. I will order from them again!! The Eclipse Wrought Iron Corbels we ordered are perfect! They are simple and just what we needed. These turned out perfectly. for under our granite countertop. They replace old-fashioned corbels and now look much more modern and work well with stainless appliances in the kitchen. I was frustrated at the inability to find brackets like these in a brick and mortar store where I could actually see and feel them. With no choice but to go online, I ordered and prayed they would be what I envisioned. Happily, they are perfect. The only improvement I would suggest: send email updates on production and shipping status. I couldn't tell my contractor when to expect delivery besides the general info provided on the website. Thank you.